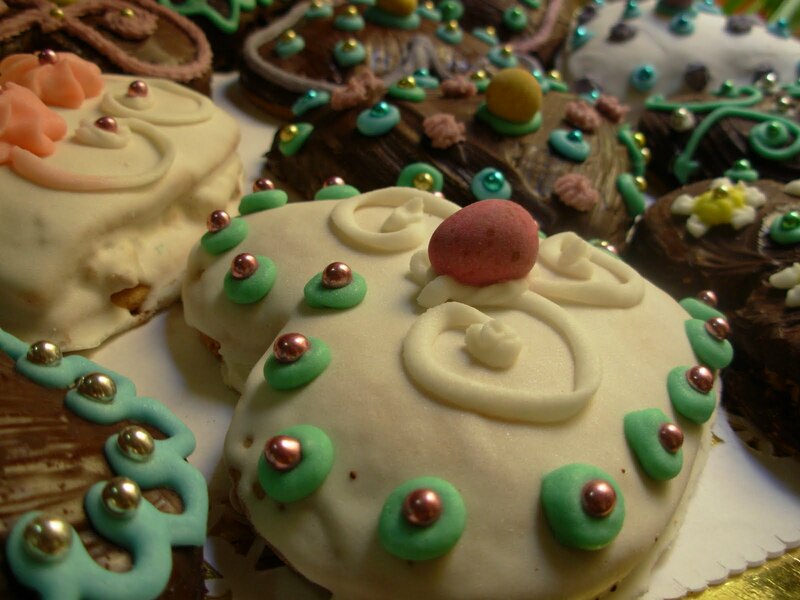 Figolli is a traditional Maltese sweet, baked during the holy week in preparation for Easter Sunday. Made from sweet pastry, an almond filling and decorated with icing sugar and chocolate. They can conceivable are made into an infinite variety of shapes, though the traditional Christian and Easter symbols including fish, sheep, the Madonna, a rabbit, eggs or a duck are easily the most common. Their origins are a little mysterious though similar dough cakes were most certainly created in ancient Rome, and would have easily spread throughout its empire. It is thought that the original symbols would have been a seen by their makers as a form of pagan prayer or homage. Typically they would be hoping for a good harvest, to boost fertility, cure ills, solve problems, bring tranquillity or simply to ensuring a blessing on themselves, their family or community. With the arrival of Christianity many pagan symbols, representations and shapes we adopted and integrated by the first converts, thus maintaining their use to this very day. Today, the making of the Figolla frequently provides very enjoyable family time, they are relatively easy to make, don’t require that much time and best of all don’t create ‘too’ much mess. Also several can easily be made simultaneously avoiding sibling arguments most effectively. We hope you all enjoy making your very own and wish you a very Happy Easter.